So you love crisp, clean shirts? Shirts that don’t move when you do? Jeans so stiff they can walk themselves to the laundry room? Sure, there’s something to be said for laundry starch, but there is also something to be said for strong starch when crafting, specifically with knitting and crochet. 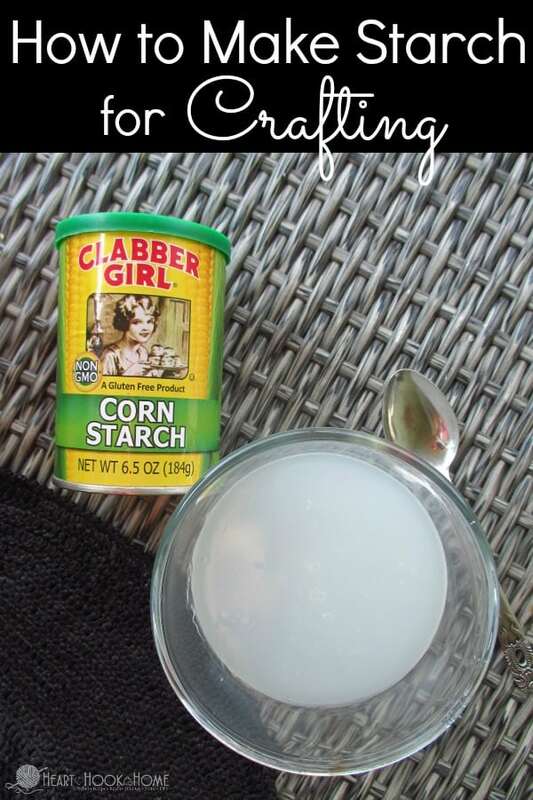 So here’s How to Make Super Heavy Starch for crafting at home. This super heavy homemade starch is one that I use specifically when crafting with yarn or crochet thread. I wouldn’t use this on my clothing (but you could if you watered it down significantly). In my quest for finding the perfect way to SUPER starch my newest crochet pattern (that’s a secret until later today! ), I decided that store bought aerosol starch just wasn’t cutting it. It wasn’t stiff enough, I didn’t like the way it left white spots when used on dark fabric, and I wanted to be able to control the amount of stiffness of said starch. 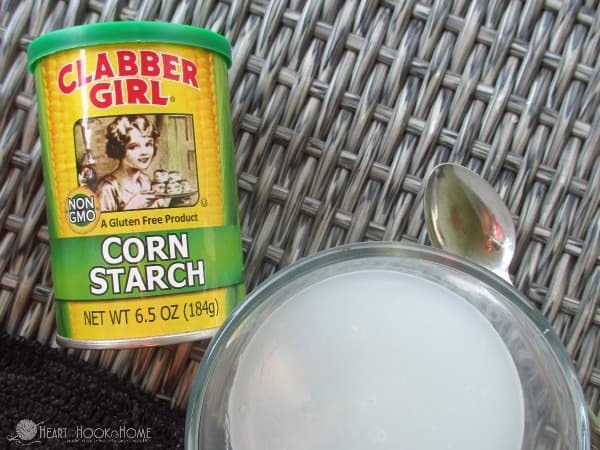 This heavy starch uses just a two household ingredients: water and corn starch. It sounds so easy doesn’t it? That’s because it is. Tip: The more starch you use in relation to the water, the stiffer your finished product will be. Tip #2: Stirring together BEFORE boiling keeps it less lumpy. 1. 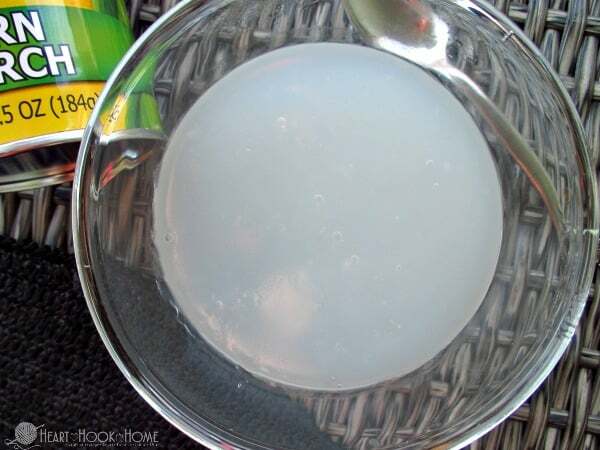 Mix 1 cup cold water with 1 tbsp corn starch until clumps disappear. 5. Soak the yarn/crochet thread/fabric in the liquid. 6. Carefully squeeze extra liquid out and position item in EXACTLY the shape you wish it to dry. If you are starching a crafted item that you want SUPER stiff, you might want to repeat this process using little to no added water at the end. Just let the boiled mixture cool to lukewarm and spoon onto the project, coating all surfaces of the yarn/fibers. Note that when I do this with large projects, I use a wide (18″) aluminum foil and lay it out on my countertop. 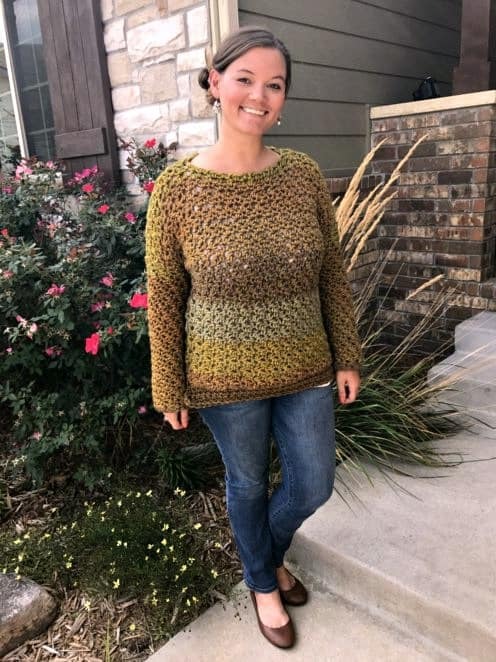 This super heavy starch recipe pairs perfectly with my newest crochet pattern (that I am releasing later today on the Heart Hook Home Facebook page)! Stay tuned, you’ll ♥ this one! Hi Daizie! For the purpose of starching fabrics/yarns, I wouldn't mix starch with mod podge as I believe that would create more of a plaster like paste. Can I use this mixture on acrylic yarn ornaments? Any idea how many objects you can use this amount for? I have about 11 crochet snowflakes (maybe 3-4" each) and wondering how much to make. Thanks so much! How long does it take for the corn starch stiffer to dry? Hi Mischa! I let mine sit overnight, but it probably doesn't take that long to dry. Hope this helps! 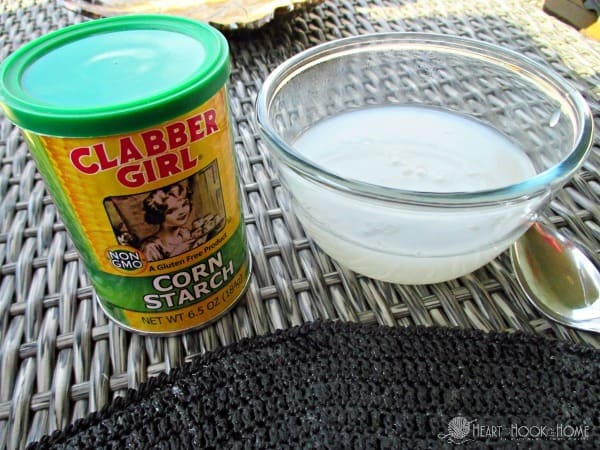 Do you know if this corn starch mixture attracts pests - bugs after it has dried? Thanks in advance. Well I am going to attempt this on my sunhat tomorrow. I have read all comments so I kind of know what to expect. My question is...what did you use to form the head part? I am resourceful so I will think of something by then. Hi Leslie! I used a soup bowl flipped upside down. Thank you for posting this recipe. 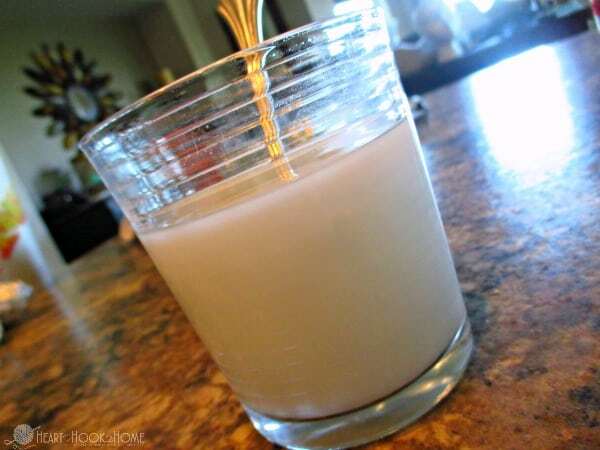 I tried to buy store bought liquid starch and can't find it any where. I plan to try it with fabric to use in my dollhouse for wall paper. Thank again! I plan to try this starch recipe. When I worked in nursing we made our caps (remember those?) by placing our dampened fabric (which was like a hankerchief) in luquid starch, then putting onto the refrigerator door and smoothing it out. It dried overnight and we could peel it off when dry. The side against the frig was especially smooth and shiny. We then folded it into shape. I plan to starch doilies and put them on a window instead of a curtain. Has anyone heard of this? So i added the mp fabric and it is ugly!! So im wondering after i stiffen what can i use to give my item a gloss satin look, because just the starch mixture makes my item dull when using black crochet thread. Tried it on silver its good so far. Also can i use plastic wrap instead of foil? Can I store what i have left over for a few days or do i have to remake everytime i need it? I don't find that I have a lot left over, so I usually toss what little there is. Also, I would not use plastic wrap instead of foil, but you could! If you try that, please let me know how it goes. Why foil? And thanks very much for answering i didn't think i would get an answer!!! I got this crusty stuff that dries on my item . I think while it cools it forms this skin on top and when i stir it , it gets mixed up but doesn't break down. So im going to remove that skin. Also i did a batch where i did not add water after cooling, and one where i did. Not much difference. But adding multiple coats makes a difference. Im adding modge podge fabric coat. After stiffening, cause i want a shine. I wonder if it will effect the stiffening . 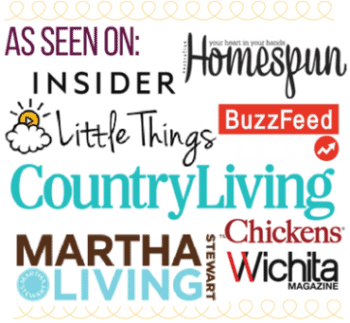 Hello&an Thank you for sharing this homemade recipe. I don't like to buy aerosols. Esspecially if i can make my own things at home. Could I put this into a spray bottle instead of spooning onto my finished crocheted project? God bless! The mixture is pretty thick so I don't think a spray bottle will work. I let mine dry, sometimes that iron will leave unwanted marks on your beautiful piece. Soooo after putting the starch on do I have to iron it? Or just let the crocheted item dry? I don't know, that's why Im asking.